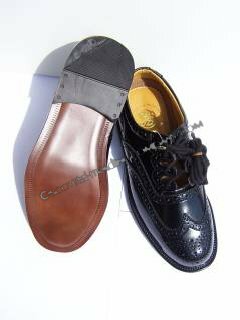 Leather soled Ghillie Special US 8.Traditional Ghillie Brogue Shoes. Traditionally styled with long laces.Leather upper, Leather sole and rubber heel. Please remember these shoes are designed to be worn with the thicker kilt hose,so please order your normal shoe size. Imported from Scotland. Only one available at this price!